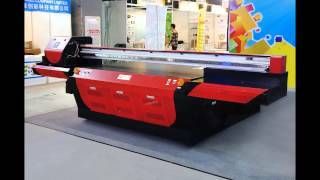 Albatros is reliable and approved flatbed printer which provides high efficiency at attractive price. High-quality coating prevents printer enclosure from attacks by chemicals, solvent, inks and mechanical damage. It is easier to keep the printer clean as such kind of coating permits to wipe inks and other dirtying off the surface effortlessly. IQ Maglev carriage can contain up to 7 Konica Minolta 1024 print heads, one of which can be used for the white color with a recirculation system for preventing sedimentation of pigments and print head nozzle clogging. All control systems and side components were developed and produced by DPS innovations specifically for IQ Maglev. Printer frame - All-metal welded frame that can withstand any heavy material. The body is also equipped with wheels and legs for easy movement and a stable fixation on the work. Honeycomb desktop is divided into 4 vacuum zones with the possibility of independent work of each of them - to reduce power consumption of the printer. Over the panel there is a composite coating with perforations to ensure steady vacuum. The coating is attached by magnets and is easy to replace. The motion-system of the carriage along the portal consists of a specialized guide, mounted on an aluminum I-beam. On the basis of a step - motor with spindle drive provides automatic adjustment of the height of the carriage. The ink delivery system consists of 7 tanks (+2 for vacuum). Each reservoir includes a sensor measuring the level of ink residue, pre-filter, electromagnetic valves, diaphragm-type pump, fine filter and special UV ink tubes. Vacuum systems for the CMYK and White are independent.